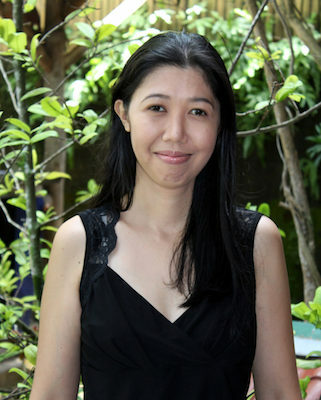 Kristine Ong Muslim is the author of eight books of fiction and poetry: Age of Blight (Unnamed Press, 2016), Butterfly Dream (Snuggly Books, 2016), Meditations of a Beast (Cornerstone Press, 2016), Black Arcadia (University of the Philippines Press, 2016), Lifeboat (University of Santo Tomas Publishing House, 2015), A Roomful of Machines (ELJ Publications, 2015), Grim Series (Popcorn Press, 2012), and We Bury the Landscape (Queen’s Ferry Press, 2012). She serves as poetry editor of LONTAR: The Journal of Southeast Asian Speculative Fiction, a literary journal published by Epigram Books in Singapore, and was co-editor with Nalo Hopkinson of the Lightspeed Magazine special issue, People of Colo(u)r Destroy Science Fiction!. Widely anthologized and published in magazines, she grew up and continues to live in rural southern Philippines.